Project: Nine designs for the dining hall of Tallinn’s Scientific Secondary School (Reaalkool). 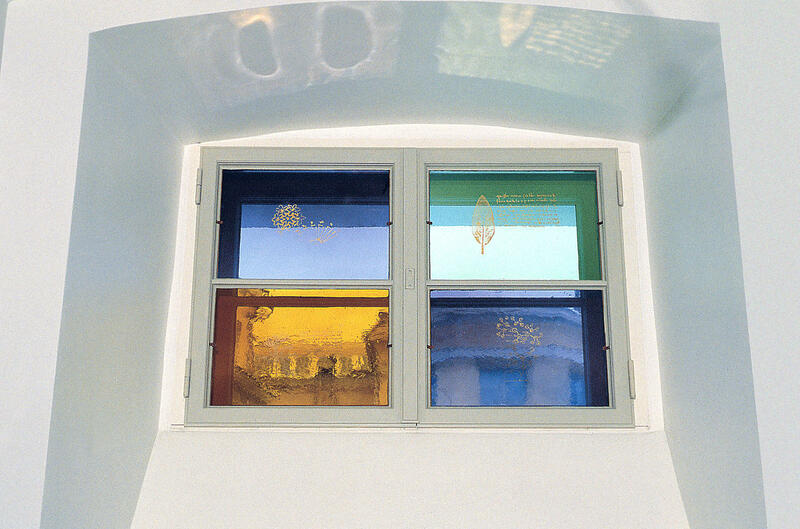 All the windows were completed in 2000. Client: Tallinn City Government; the winner of the public competition organized by the Tallinn City Government. 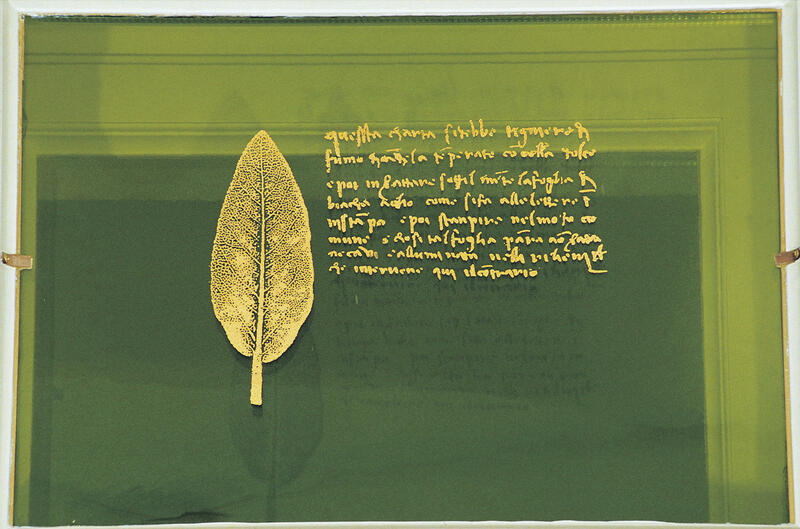 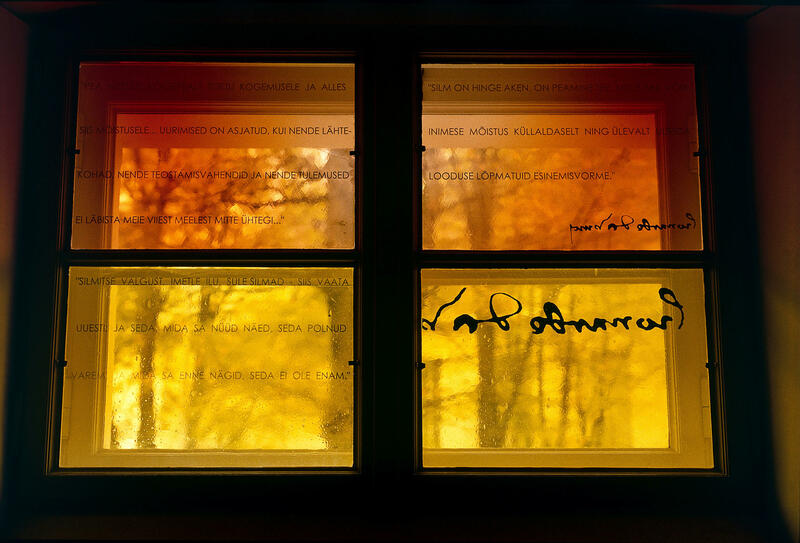 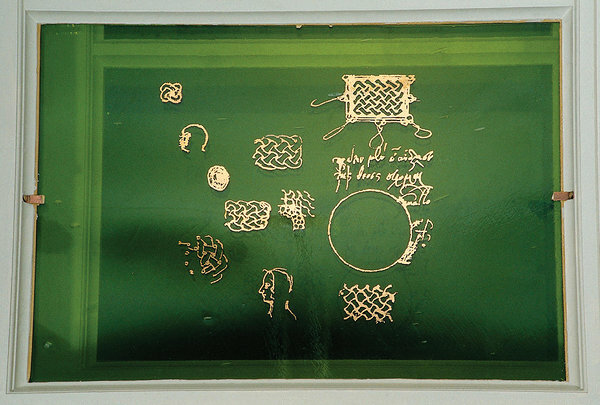 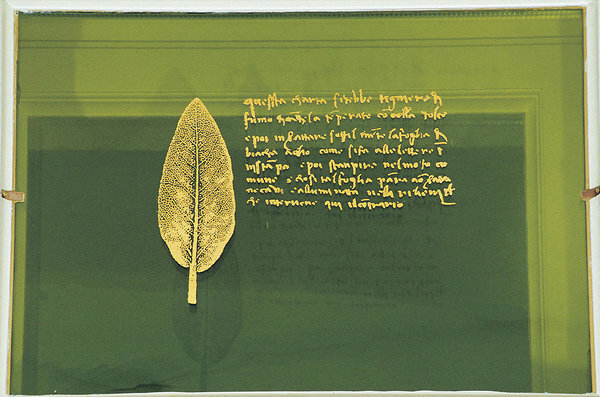 For the Scientific Secondary School dining hall, the writings of Leonardo da Vinci were printed with gold glass paint on nine windows made of hand-blown glass from the St. Juste Glassworks. 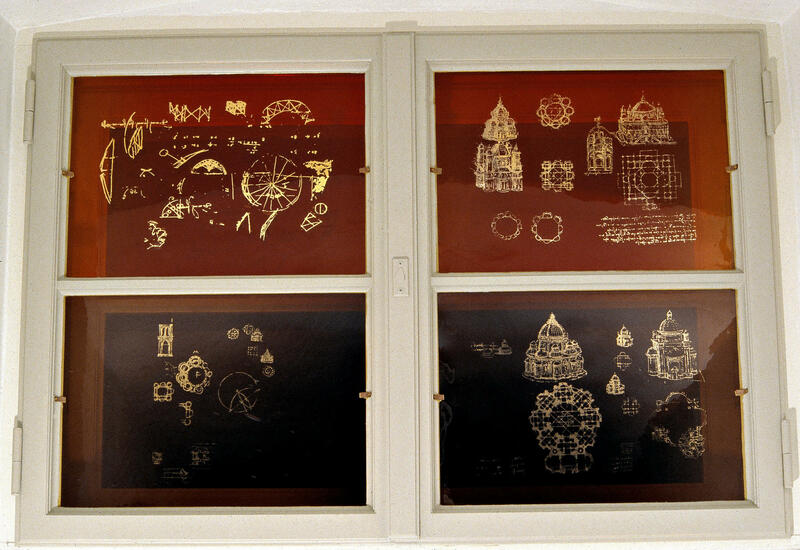 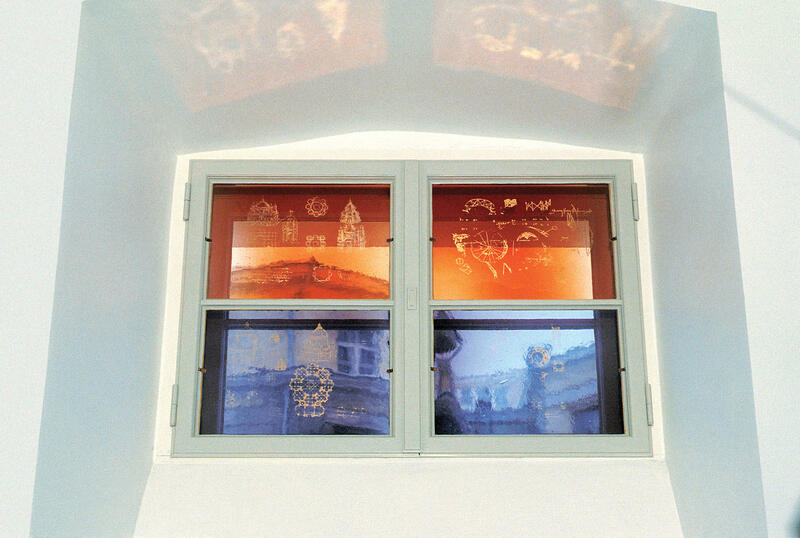 One of the topics examined by Leonardo was depicted on each window – architecture, botany, aviation, etc. 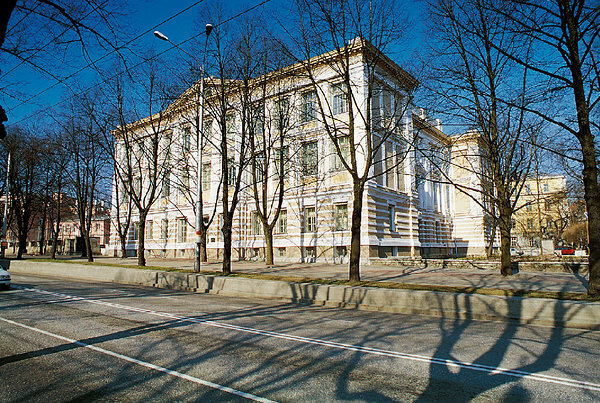 The school was built in the second half of the 19th century to educate engineers. 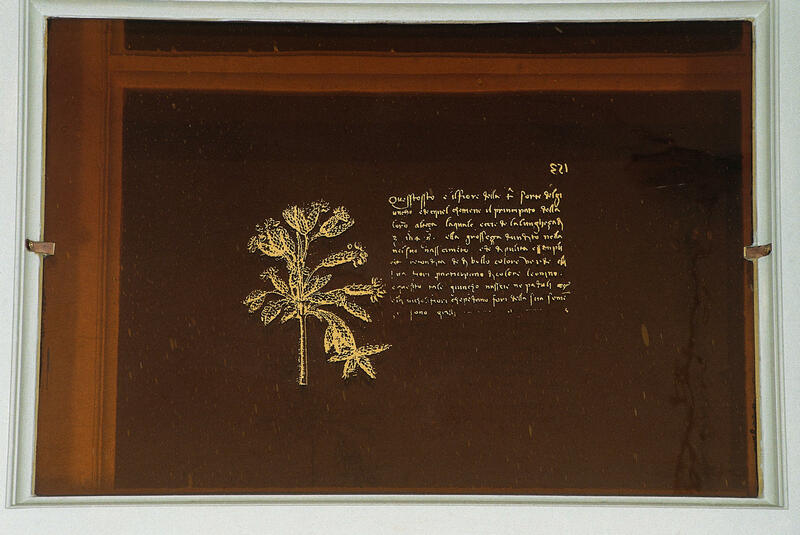 In this period many of the mechanical devices, energy transfer machines and vehicles that Leonardo had invented several centuries earlier started to be implemented.